The upcoming successor to the Huawei P10 and P10 Plus will be the P20 and not P11. This was confirmed in a Huawei launch invite teaser, which confirms the March 27 launch date in Paris along with indications of a triple-camera setup. We are also treated to a press render showing off the P20 and a possible P20 Plus. 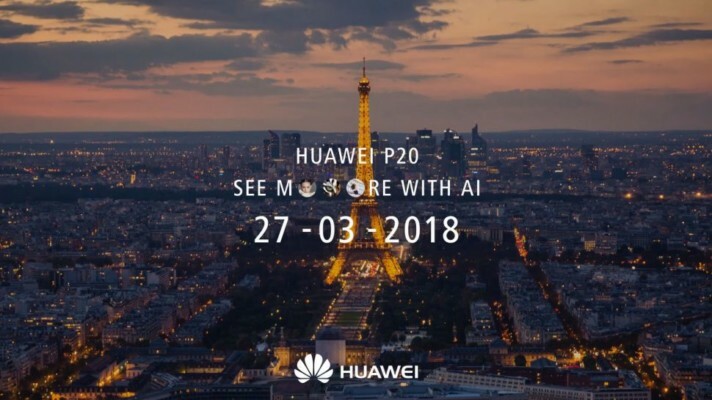 Away from the glitz and pomp of the ongoing Mobile World Congress (MWC), Huawei will be unveiling the P20 (and most likely a P20 Plus as well) in a separate event to be held in Paris on March 27. The Chinese telecom giant has released a teaser video to convey this information. The video contains another tidbit — the P20 will carry a triple-camera setup. There has been some speculation as to what the successor to the P10 would be called. While many thought it would be the P11, news started to trickle that it could be called the P20. The invitation teaser now puts that confusion to rest — P20 it is, folks. In light of the above invite, a press render showing the P20 and the P20 Plus has also made its way to the interwebs. The render shows two devices sporting iPhone X-esque notches. 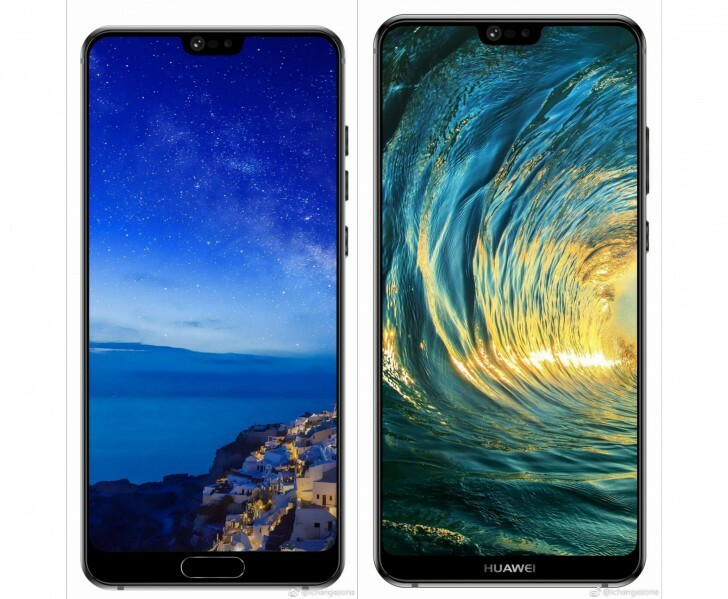 The image on the left has a home button-fingerprint reader combo while the one on the right has the Huawei branding in place of the home button and thus, could likely sport the fingerprint reader in the rear. It is not known which of the devices in the render is the 'Lite' and which is the 'Plus' variant. Applying the Mate 10 and Mate 10 Pro design logic, we can assume that the one sporting the fingerprint sensor at the back to be the P20 Plus. There's also rumor of a possible 'Pro' variant in addition to the P20 and P20 Plus, although, it is not entirely clear whether the 'Pro' and 'Plus' variants are actually one and the same. The rumored specs of the P20 'Pro' include the Kirin 970 SoC, 6/8 GB RAM, 128/256 GB storage, and a 4000 mAh battery. The triple-camera system comprises of a 12 MP color sensor, 16 MP black and white sensor, and a 16 MP telephoto lens with one of the cameras sporting a f/1.8 aperture and optical image stabilization. The selfie camera will have a 8 MP sensor with an f/2.0 aperture. The P20 Plus (or 'Pro') is expected to retail for CNY 5,899 or US$930 for the 8 GB/256 GB version.